What is a stage gate New product development process ? The need for lean, rapid and profitable new product development has never been greater. Product life cycles are shorter, competition is more intense and customers are more demanding. Companies that fail to innovate face a grim future. The problem is that winning with new products is not easy. An estimated 46% of the resources that companies devote to the conception, development and launch of new products go to projects that do not succeed – they fail in the marketplace or never make it to market. Leading companies have overhauled their product innovation processes, incorporating the critical success factors discovered through best practice research, in the form of a Stage-Gate new product development process. According to several independent research studies (i.e. Product Development & Management Association, AMR Research, Booz-Allen Hamilton, etc.) between 70-85% of leading U.S. companies now use Stage-Gate to drive new products to market. A Stage-Gate System is a conceptual and operational road map for moving a new-product project from idea to launch. Stage-Gate divides the effort into distinct stages separated by management decision gates (gatekeeping). 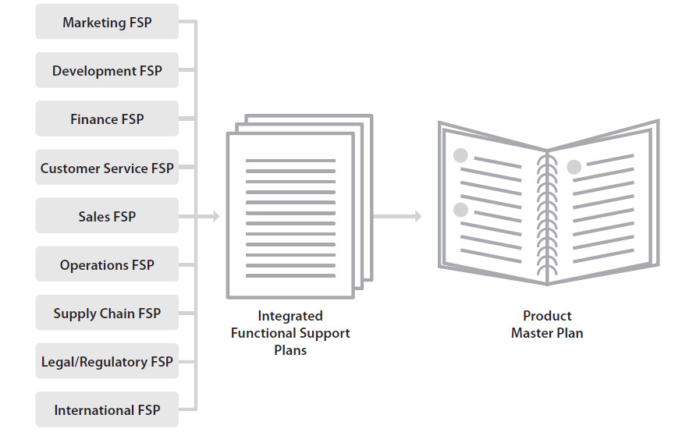 Cross-functional teams must successfully complete a prescribed set of related cross-functional activities in each stage prior to obtaining management approval to proceed to the next stage of product development. How Does the Stage-Gate® Process Work? Product innovation begins with an idea and ends with the successful launch of a new product. The steps between these points can be viewed as a dynamic process. Stage-Gate divides this process into a series of activities (stages) and decision points (gates). Stages are where the action occurs. The players on the project team undertake key activities to gather information needed to advance the project to the next gate or decision point. Stages are cross-functional (there is no research and development or marketing stage) and each activity is undertaken in parallel to enhance speed to market. To manage risk, the parallel activities in a certain stage must be designed to gather vital information – technical, market, financial, operations – in order to drive down the technical and business risks. Each stage costs more than the preceding one, resulting in incremental commitments. As uncertainties decrease, expenditures are allowed to rise and risk is managed. Stage 0 – Discovery: Activities designed to discover opportunities and to generate new product ideas. Stage 1 – Scoping: A quick and inexpensive assessment of the technical merits of the project and its market prospects. Stage 2 – Build Business Case: This is the critical homework stage – the one that makes or breaks the project. Technical, marketing and business feasibility are accessed resulting in a business case which has three main components: product and project definition; project justification; and project plan. Stage 3 – Development: Plans are translated into concrete deliverables. The actual design and development of the new product occurs, the manufacturing or operations plan is mapped out, the marketing launch and operating plans are developed, and the test plans for the next stage are defined. Stage 4 – Testing and Validation: The purpose of this stage is to provide validation of the entire project: the product itself, the production/manufacturing process, customer acceptance, and the economics of the project. 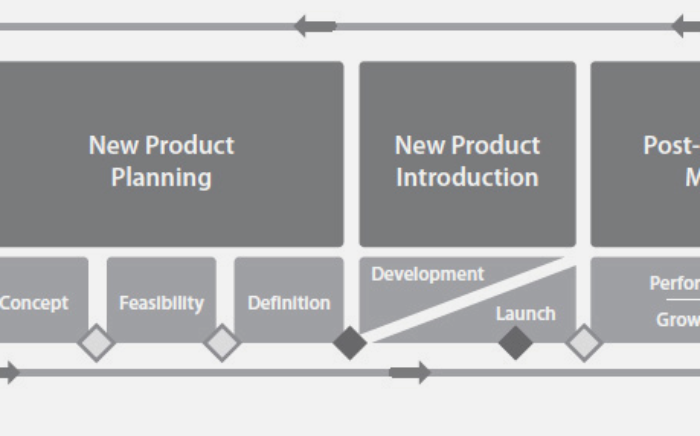 Stage 5 – Launch: Full commercialization of the product – the beginning of full production and commercial launch. Activities: The work the project leader and the team must undertake based upon their project plan. Integrated analysis: The project leader and team’s integrated analysis of the results of all of the functional activities, derived through cross-functional interaction. Deliverables: The presentation of the results of the integrated analysis, which must be completed by the team for submission to the gate. Preceding each stage is a decision point or gate which serves as a Go/Kill and prioritization decision point. Gates are where mediocre projects are culled out and resources are allocated to the best projects. Gates deal with three quality issues: quality of execution; business rationale; and the quality of the action plan. Deliverables: Inputs into the gate review – what the project leader and team deliver to the meeting. These are defined in advance and are the results of actions from the preceding stage. A standard menu of deliverables is specified for each gate. Criteria: What the project is judged against in order to make the go/kill and prioritization decisions. These criteria are usually organized into a scorecard and include both financial and qualitative criteria. Outputs: Results of the gate review. Gates must have clearly articulated outputs including: a decision (go/kill/hold/recycle) and a path forward (approved project plan, date and deliverables for the next gate agreed upon). What are the benefits of using Stage-Gate®? The Stage-Gate Product Innovation system has been referred to as the single most important discovery in product innovation – empowering almost 85% of all North American companies to achieve improved returns on their product development dollars and to achieve new growth. A more effective, efficient, faster process that improves your product innovation results. What is a customer experience management table ? What does a product planning boiler-room operational flow look like ? 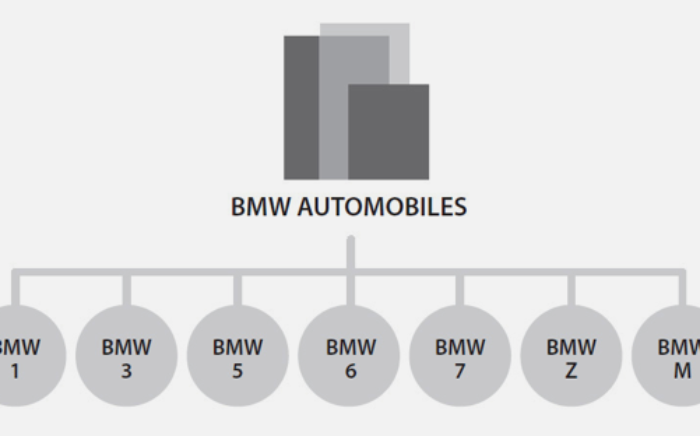 What is a product line hierarchy ? What is Product Management Life Cycle Model and Four Areas of Work ? | What is a stage gate New product development process ?